For multi-field simulations involving a larger number of different physical fields and in cases where the involved fields or simulation codes change due to new modelling insights, e.g., flexible and robust partitioned coupling schemes are an important prerequisite to keep time-to-solution within reasonable limits. They allow for a fast, almost plug-and-play combination of existing established codes to the respective multi-field simulation environment. In this paper, we study a class of coupling approaches that we originally introduced in order to improve the parallel scalability of partitioned simulations. 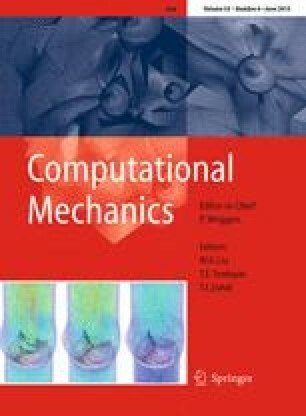 Due to the symmetric structure of these coupling methods and the use of ’long’ vectors of coupling data comprising the input and output of all involved codes at a time, they turn out to be particularly suited also for simulations involving more than two coupled fields. As standard two-field coupling schemes are not suited for such cases as shown in our numerical results, this allows the simulation of a new range of applications in a partitioned way. The financial support of the Institute for Advanced Study (IAS) of the Technische Universität München, and of SPPEXA, the German Science Foundation Priority Programme 1648—Software for Exascale Computing are thankfully acknowledged. Alya is developed at the Barcelona Supercomuting Center, by Guillaume Houzeaux, Mariano Vázquez, et al. We want to thank, in particular, Juan Carlos Cajas, who helped to implement the preCICE adapter in Alya.